Hello and welcome back to another update of Forgotten Hope. It has been a while since our last update, but today we are pleased to be back with some fresh new renders for everyone. But first, please welcome Remick04 to our development team. He will be helping us out in the singeplayer department and will make sure that all of you have as good of a time offline as you do online. Before we show you today's news, we want to thank everyone for their positive comments regarding the release of patch 2.26. We will be releasing one final patch to finish out the Normandy front for FH2, and then we will be moving on to bigger and better things. Now onto the actual content! Up first is the M16 Multiple Gun Motor Carriage and the M51 Multiple Machine Gun Carriage. The M16 Multiple Gun Motor Carriage (MGMC) was the result of the US Army's long-standing requirement for an anti-aircraft vehicle, needed to protect its mechanized forces. It employed an M45 quad mount, consisting of four .50 caliber M2HB machine guns, mounted on top of an M3 Halftrack. Although designed as mobile AA, it found greater use as an anti-infantry weapon. Between 1942 and 1944, 2877 of these vehicles were manufactured, with an additional 737 being converted from earlier versions. Because of its effectiveness, the M16 MGMC continued to be used after the war and saw extensive service in Korea. 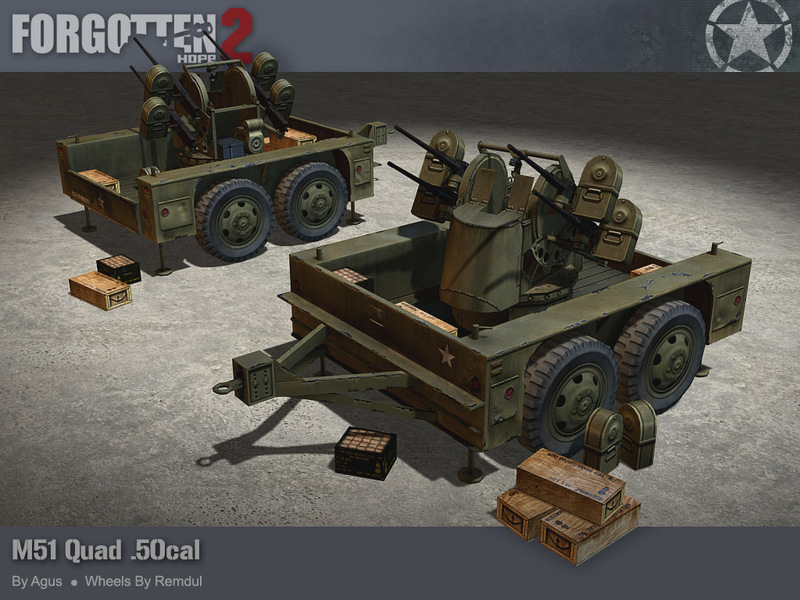 The M51 Multiple Machine Gun Carriage (MMGC) was the official designation of the M45 quad mount, mounted on top of the M17 trailer. Although the M45 was an effective weapon (its nicknames being "Meatchopper" and "Krautmower"), the M51 wasn't all too popular. 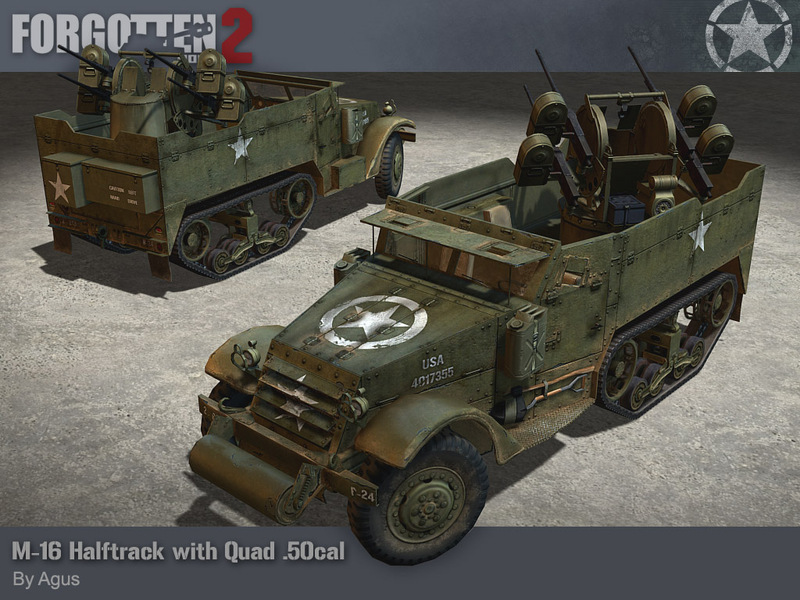 It performed so poorly on rough terrain, it was often not possible to take it off-road and some units even removed their M45 quad mounts and mounted them on top of their halftracks (against regulations). Both the M16 MGMC and the M51 MMGC were made by Agus, and the wheels on the M51 were made by Remdul. 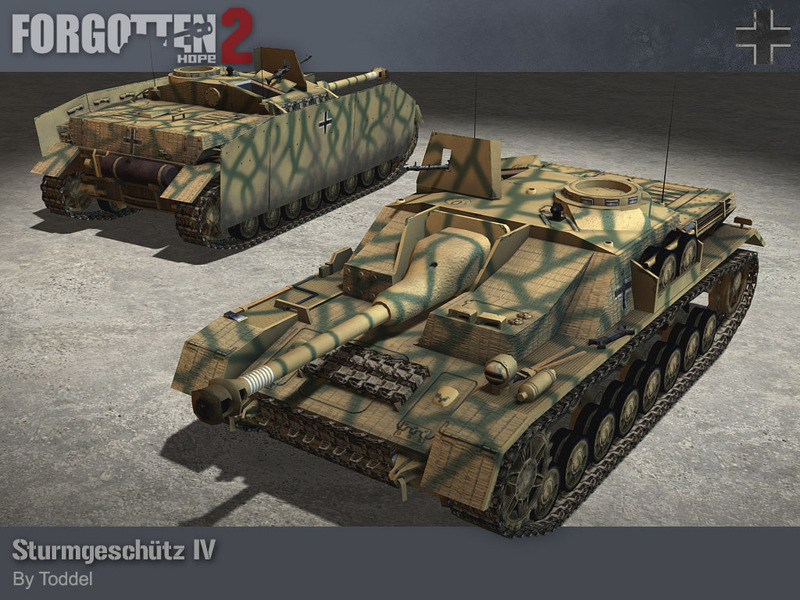 Next up we have a brand StuG variant for the German troops serving in Normandy; the Sturmgesch�tz IV or StuG IV. On December 6-7, 1943, it was suggested to mount the StuG III Ausf. G superstructure on the chassis of a Panzer IV. This addition allowed the StuG IV to be more quickly produced than the Jagdpanzer IV, and thus, the StuG IV was born. The combat weight of this assault gun was lighter than that of the StuG III and to make up for the large lack of III's, the StuG IV was given full support. Around 1,000 of these assault guns were produced and they proved themselves as valuable tank killers, especially on the Eastern Front. The StuG IV was armed with a primary 7.5cm StuK 40 L/48 cannon, with an additional Mg34 mounted on the top deck. The StuG IV was made by Toddel.